11-400 kV polymeric insulators or composite silicone rubber insulators are manufactured conforming to international standards & specifications. 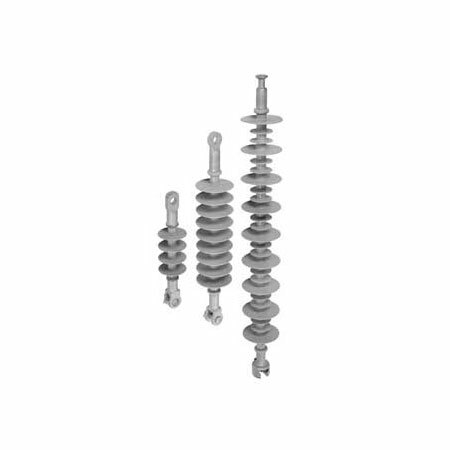 Earlier insulators were made up of ceramic or glass only but with the advancements in technology the usage of composite insulators has grown to prevent line flash-over triggered by pollution. We are leading Silicone Insulation Manufacturers & Suppliers in India. Suitable for polluted environment, salty atmospheres etc. Note : Cable Insulator with different type of metal fitting can be manufactured as per requirement.